Tumwater comes into the semifinals as the clear underdog, advancing to the final four for the first time in school history. The T-Birds have lost just one game in their last ten, finishing second in the 2A EvCo behind WF West, losing to WF West in the District IV championship game and knocking off Fife and North Kitsap last Saturday to advance to the semis. The T-Birds will face 23 win Archbishop Murphy. The Wildcats have lost just two games this season, one in their opener to Burlington-Edison and another to Cedarcrest on April 22nd. 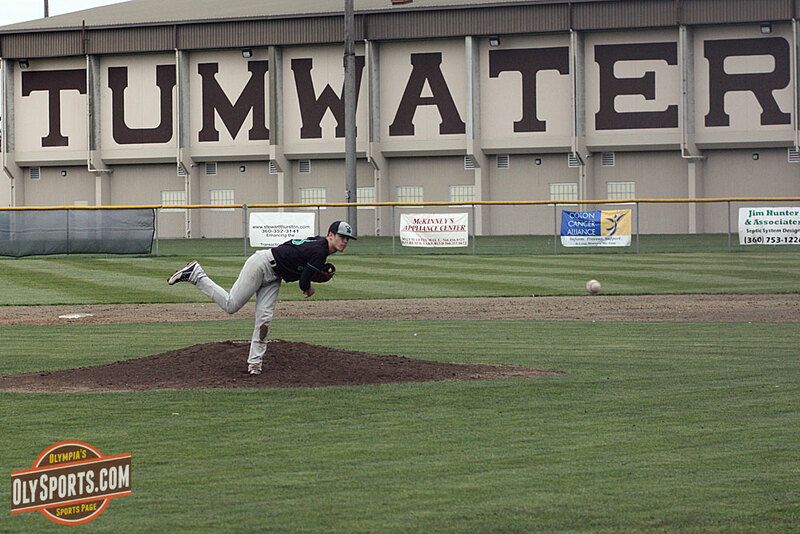 They have won seven straight since that game including a pair of two run wins over White River and Lynden in the first two rounds on Monday. The Wildcats are led by four seniors, pitcher Derrick Mahlum (11-0, 0.65 ERA), pitcher and first baseman Zander Clouse (8-2, 1.21 ERA, .451 BA, 37 RBI) and shortstop Trever Morrison (.550 BA, 5 HRs, 46 runs). The winner moves on to face either Clarkston or WF West in the championship game at 7:00 PM on Saturday night while the loser plays in the third/fourth place game on Saturday at 1:00 PM. The game can be heard on the Eli Sports Network. Day two of the 3A state tourney is already well underway with the championship game coming up at 1:30 PM between either Prairie or University High and Kamiakin of Meadowdale. Posted on May 25, 2013, in Baseball, High school, Softball, Tumwater HS. Bookmark the permalink. Leave a comment.